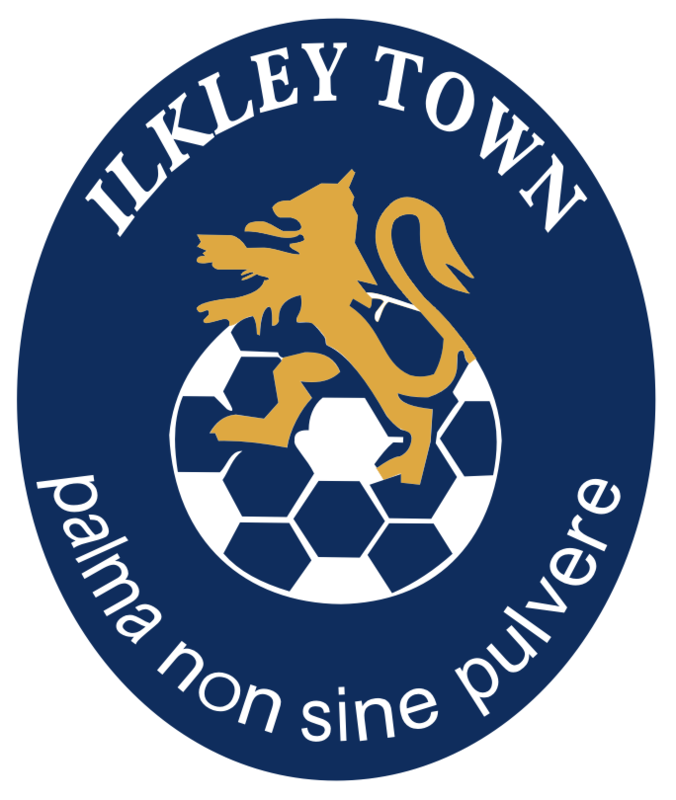 Ilkley return to the top four! Town were the only game to go ahead this weekend as all other West Yorkshire League fixtures fell foul to the weather. Credit must go to Sam Dexter and Pete Trimnell who managed to clear the pitch of snow on the Friday to ensure the game was on. In fact it was stunning sunshine as Horbury visited on the back of a three match unbeaten run and hoping to move closer to the top six. It was Ilkley however who were brighter and sharper in the opening exchanges as they looked to gain an early advantage. Within minutes Matt Whitehead saw his effort clear the bar and Town were beginning to dominate. In the fourteenth minute Tom Fleming delivered a corner, Horbury failed to clear and Dave Hancock finally fed the ball back to Toby Harris whose. deflected shot found the net for his 31st goal of the season, 1-0. Town from here had the majority of possession and started to move the ball around the pitch with real confidence. Nicc Hewitt saw his effort saved and some other nice phases of play led to a couple of half chances. Horbury at this point tried to play the ball forward quicker in an attempt to fashion an opportunity on the break. With the pace Horbury had this seemed an effective way for them to play and they certainly carried a threat. However this meant Horbury would have to withstand a certain degree of pressure through the game and in the thirtieth minute Towns pressure paid off. Some nice play by Matt Whitehead on the right hand side saw the ball find its way to the feet of Toby Harris. Harris opened his body and switched the play to Tom Fleming, whose first touch took the ball past the full back. Fleming then opened his body and sidefooted the ball into the top corner off the crossbar, 2-0. It was after this excellent finish that Town would have a sloppy ten minute period. Horbury would put themselves back in the game on forty minutes as Ilkley failed to clear and Horbury quickly played the ball to the right hand side and the winger whipped in a lovely cross. 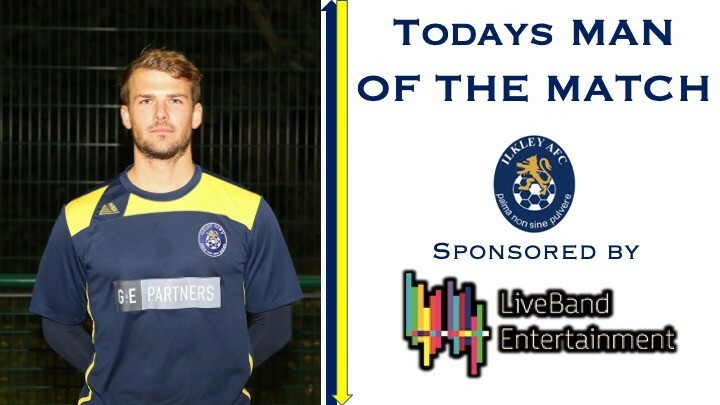 Tim Edney looked to have gathered but the ball seemingly came loose and was bundled home by the Horbury striker and a lifeline for the away side just prior to the interval, 2-1. Town started the second half like the first and in the first ten minutes Dave Hancock would find opportunity and space to really advance down the left hand side. In the fifty fifth minute he got his rewards. Adam Davey found him once again and Hancock drove with the ball down the left before unleashing a powerful cross, it took a slight deflection, wrongfooted the goalkeeper and beat him at his near post, 3-1. This goal came at a great time for Town to put them firmly back in control and allow them to dominate the ball, pinning Horbury back. Harry Brown replaced Matt Whitehead in the sixty fifth minute and would have an almost impact. Town pressured Horbury high up the pitch with Joe Hendrie winning the ball and in the process earning a foul on the right hand side of the penalty area. Both Brown and Harris stood over the ball but it was Brown who would confidently strike the ball over the wall and into the top corner, 4-1. In the final twenty five minutes Town would have chances to further extend their lead but none were taken. Both James Wilson and Tom Smith replaced Richard Bull and Joe Hendrie, both showing nice touches and contributing to the performance, Again the back four of Hancock, Davey, Munday & MOM Bull were excellent, marshalled behind by Edney and in front by Hewiit and Bull.